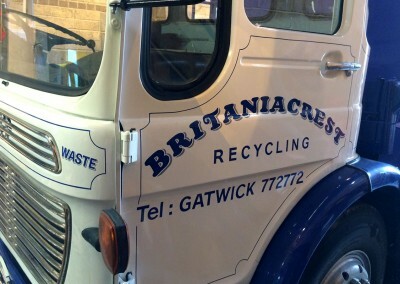 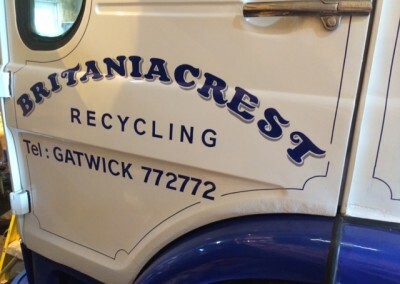 Britaniacrest is a waste recycling company based in Surrey, with a large fleet of modern vehicles. 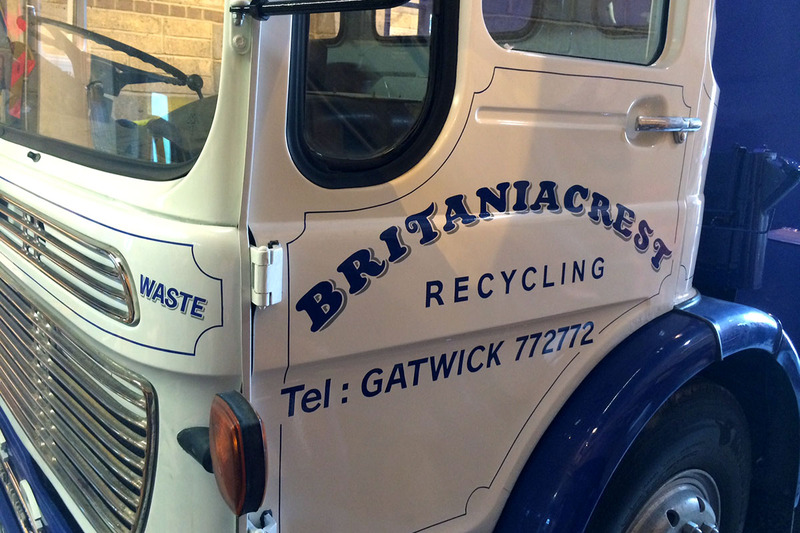 They recently restored two vintage lorries: An A.E.C. and a Volvo. 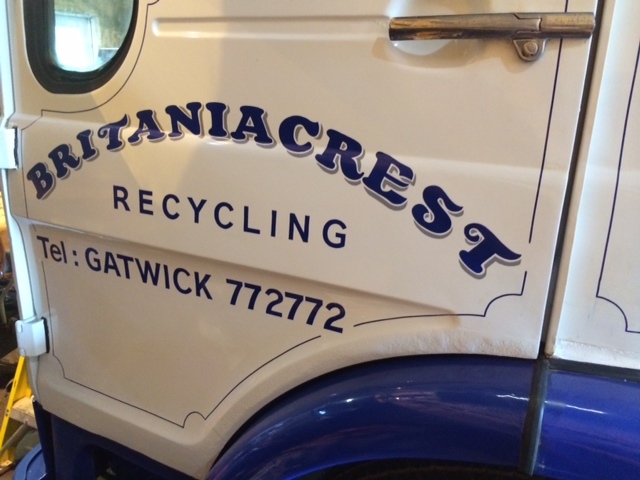 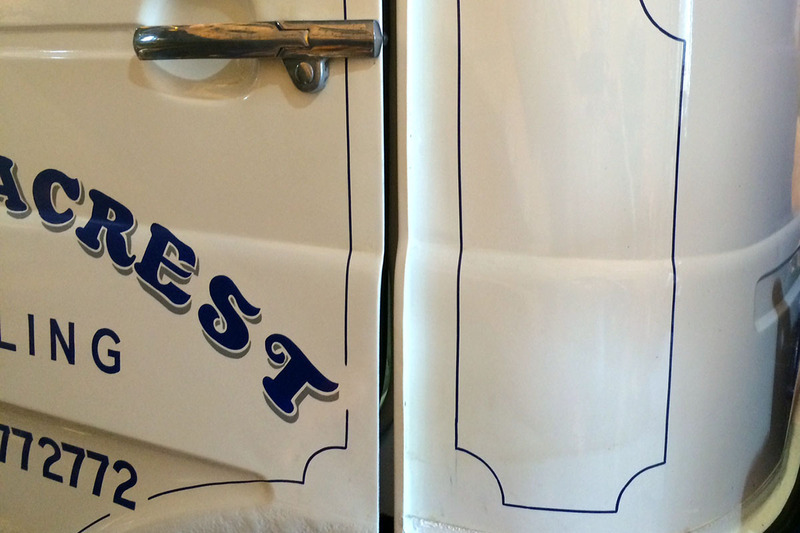 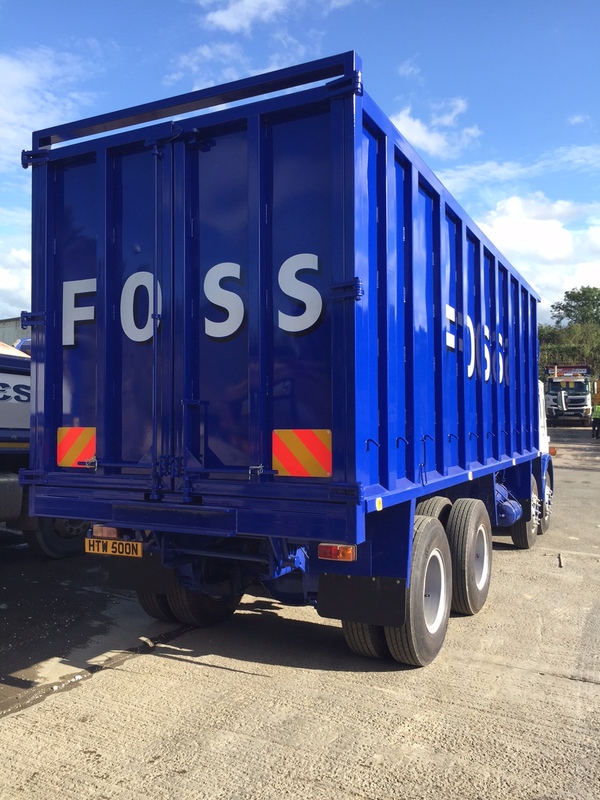 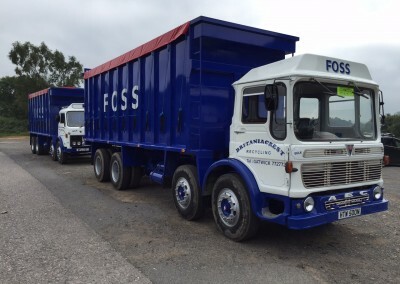 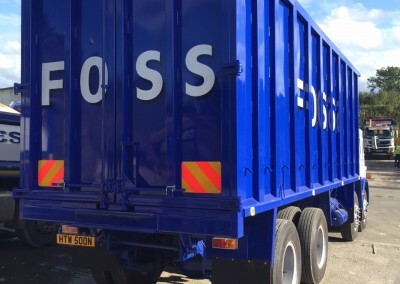 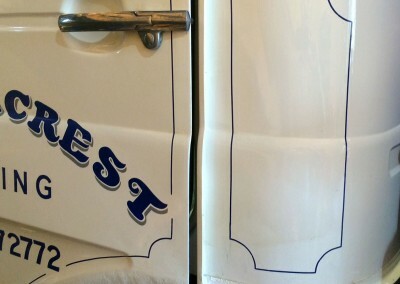 We were asked to produce traditional signwriting and lining to the cabs and skips, to make them look as authentic as possible, recapturing the look of the vehicles as if they were new.